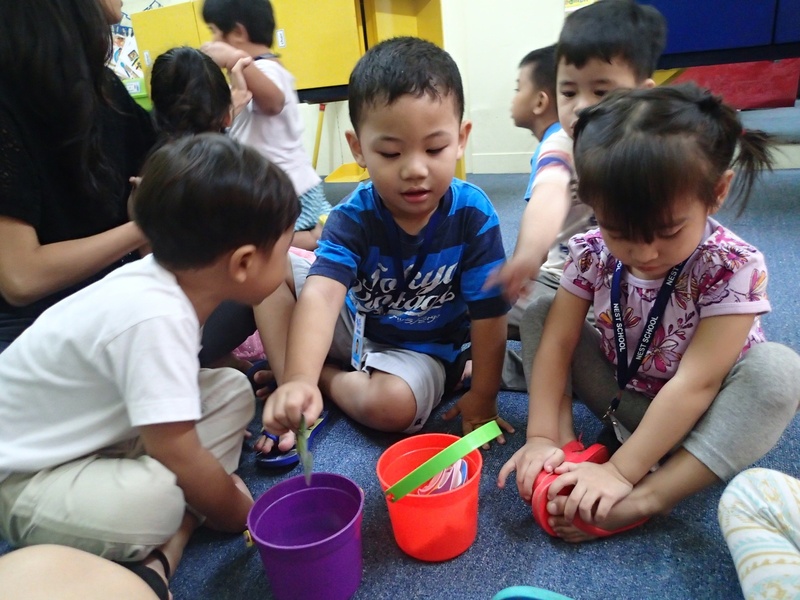 Routines of the Progressive Preschool Class: Free Play – What is a Progressive School? Our previous post, Temporal Environment or Temporal Setting, talks about the blocks of time that a progressive preschool class has in its schedule called routines. A progressive preschool class is not divided by subjects but by these routines. These routines are parallel to life situations that a young child goes through. When a child sees familiarity, he feels more secure in the learning environment and therefore can accommodate and assimilate the lessons more. Free play is a time wherein the child can choose to stay in any of the learning areas and play with the materials in that area. This is the routine that starts the class. This time is essential for the progressive teacher to observe the various interests of each child. One of my students, Camilla, would usually go straight to the Reading Area to read the different books on the shelves. She turned out to be one of my earliest readers. Another one, EV, would go to the Manipulatives Area to play with the block because he was fond of building towers and houses. He can create stories of the people living in the different buildings. When the progressive teacher has an opportunity to observe the interests of students, then the individuality of each student is evident. The progressive teacher then plans around these interests in order to gain the attention of each student. Free play, ideally, is guided play. The progressive teacher should also be in the area of play to encourage, facilitate, interact and PLAY with the child. Yes, the teacher should be interactively playing with the children. It saddens me when teachers use this time to catch up with other work when the time is ripe for engaging with the students during a time when they are open to fun, play and activity. Posted on January 6, 2009 March 16, 2015 by teachertinazamora	This entry was posted in Routines, temporal environment. Bookmark the permalink. Pingback: Temporal Environment or Temporal Setting « What is a Progressive School? Pingback: Routines of the Progressive Preschool Class: Circle Time « What is a Progressive School?